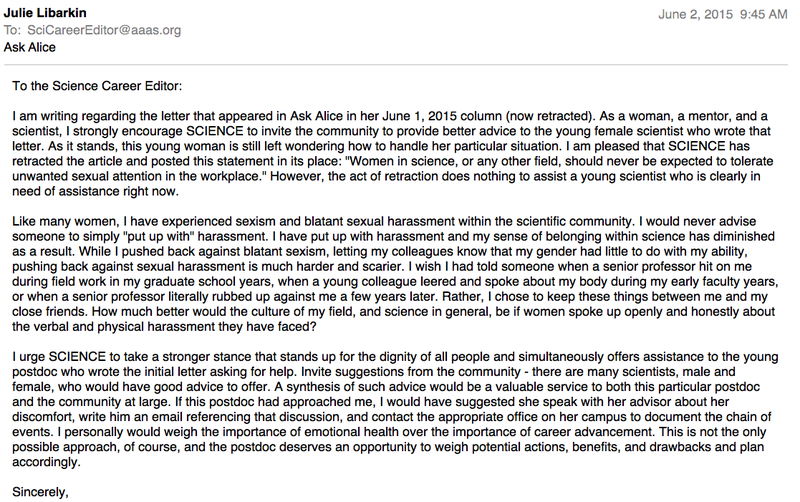 SCIENCE magazine retracted the June 1, 2015 ASK ALICE column because of the incredibly bad advice given to a young postdoc facing sexual harassment from her adviser. You can read the original column here, and SCIENCE’s retraction statement here. < FUNDING: How many proposals should you submit?